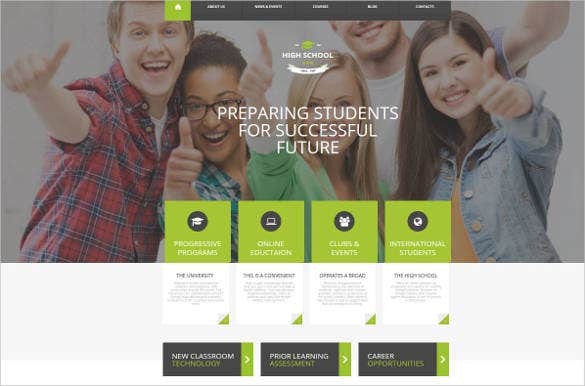 Tailored for academic institutions the free school website templates feature all the essential elements for a perfect web design. 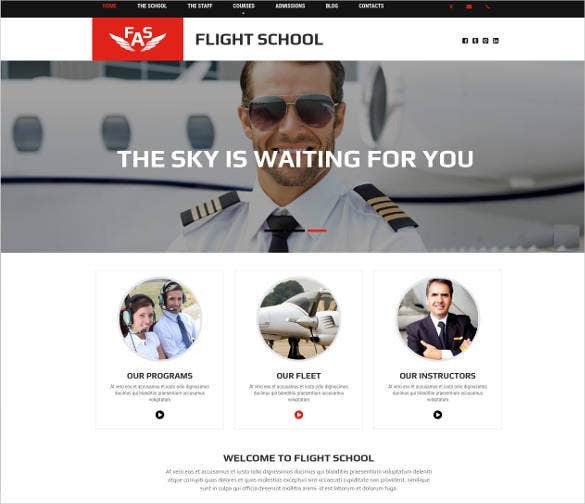 Available in both boxed and full width layouts the template design includes numerous preset features that can be enabled with a click of button. Switch between number of color variations and background pattern designs and create your own unique style. 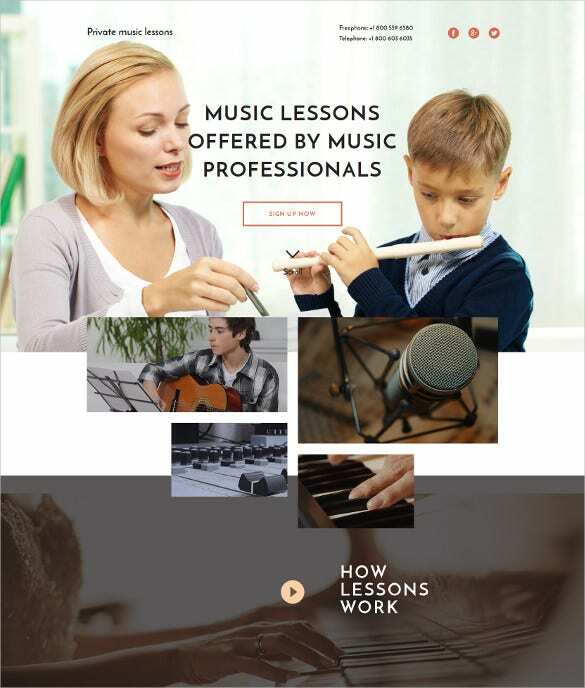 This is a clean and stylish HTML5 Website Template perfect for web designers, art teachers, web developers, and can be highly useful for designing art school websites and pages. 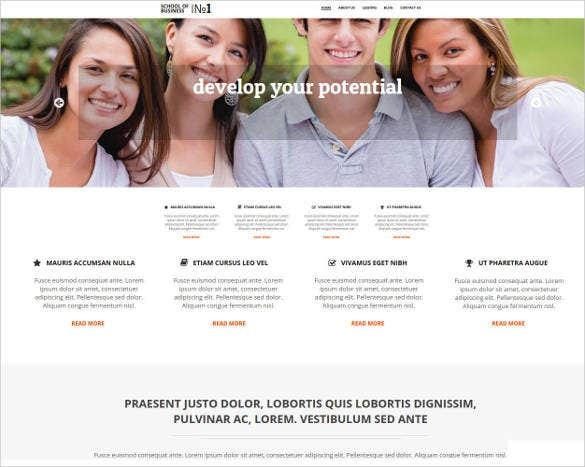 Designers will find it easy enough to use this template for designing the most innovative pages. Being 100% responsive, this template packs a punch with amazing parallax effect, cartoon fonts, and cherry frame network makes it widely acceptable. 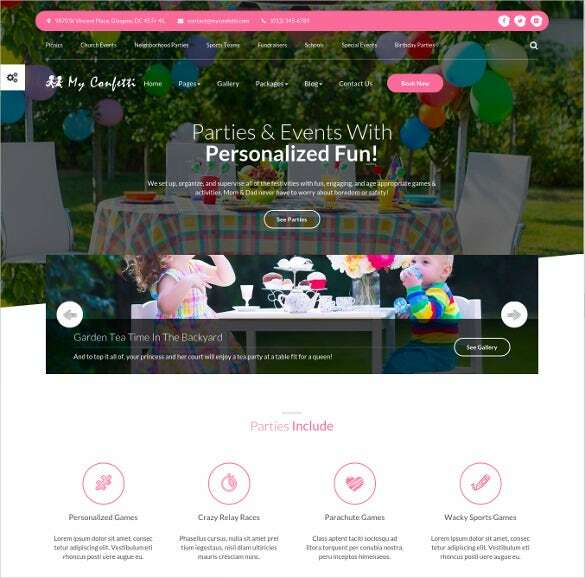 My Confetti is the perfect HTML based web template for party planning sites and presentations. 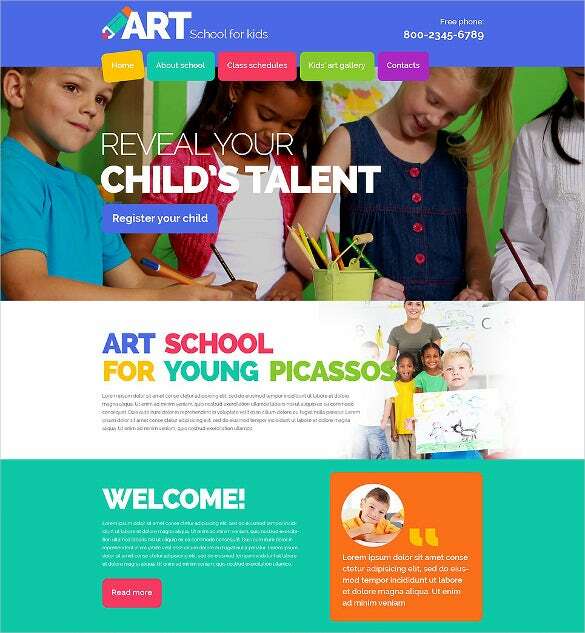 Parents, art teachers, artists, and event consultants now have a niche template to deal with party planning. 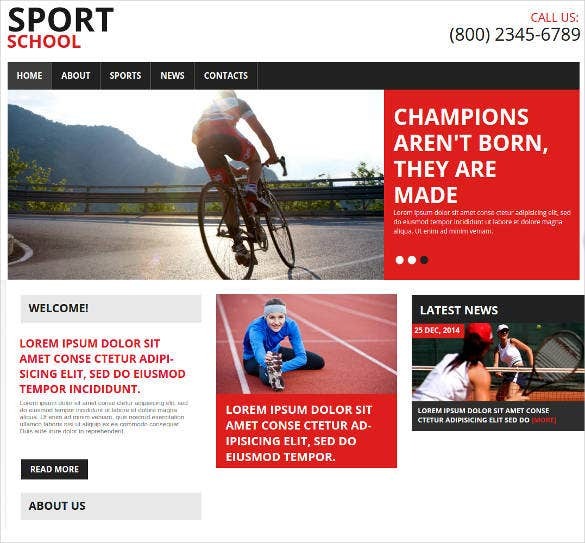 The theme promises cross browser compatibility and features isotope gallery that promises eye-appealing image showcasing. Some 600+ font icons are available with this theme. 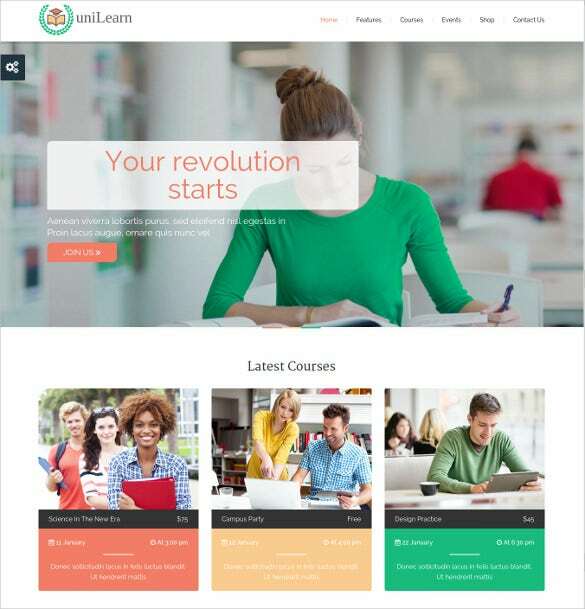 UniLearn is a multi-purpose school website theme best suited for different online courses, personal blogs, tutorial sites, colleges, artists, bloggers, and web development experts. 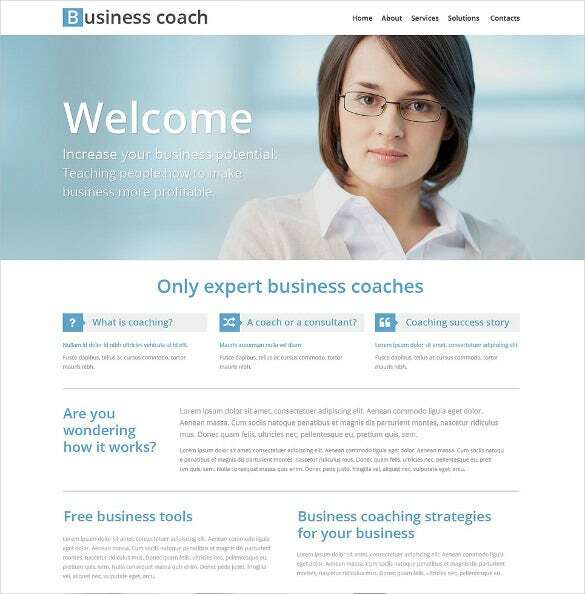 It comes with wide and boxed layout, numerous attractive font types, page layouts, and retina graphics. This touch-sensitive theme also comes with a rev slider. 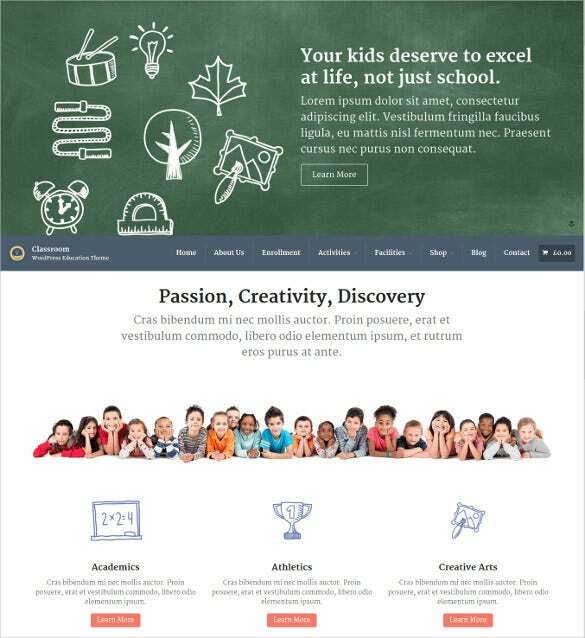 This WordPress theme is ideal for designing school websites. It can make a huge impact to web artists, developers, teachers, and web consultants. 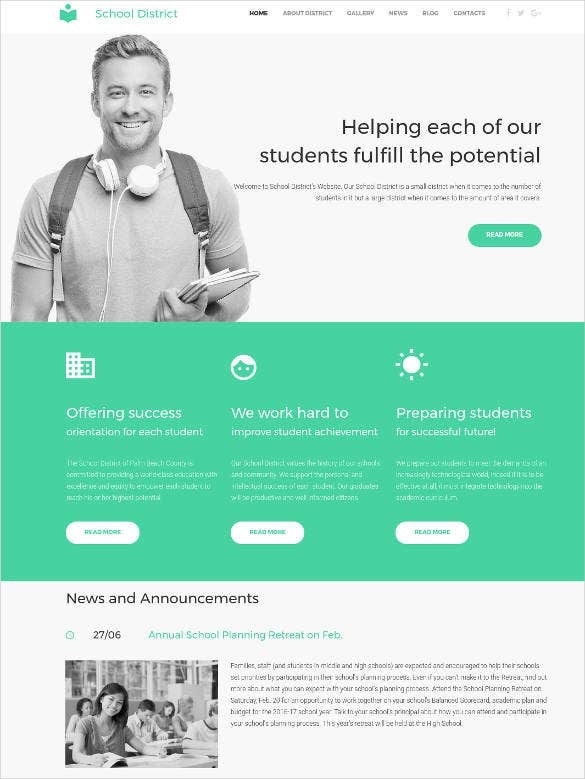 It comes with pre-built page layouts, events widgets, and detailed documentation support. 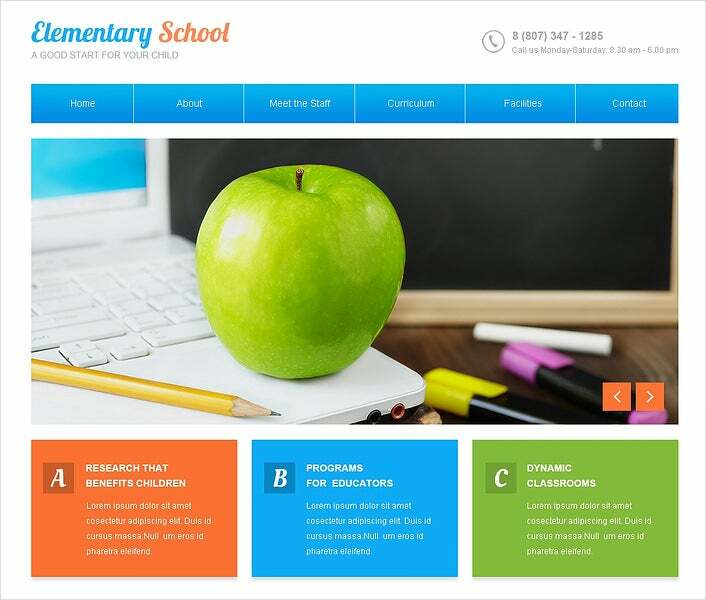 It is suitable for educational sites and anyone who want to provide some attractive design elements to the school site. 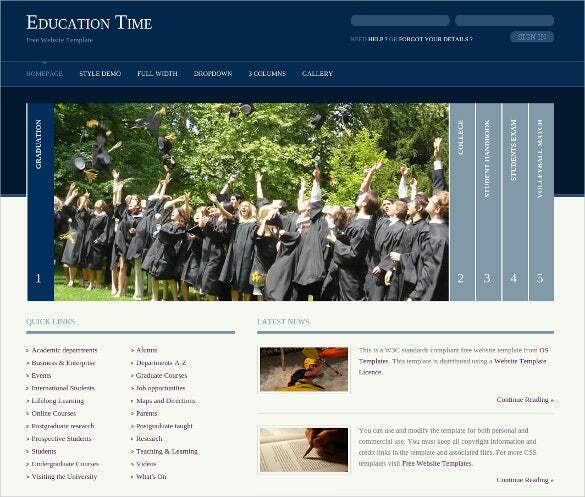 It is a niche template to design educational portals. 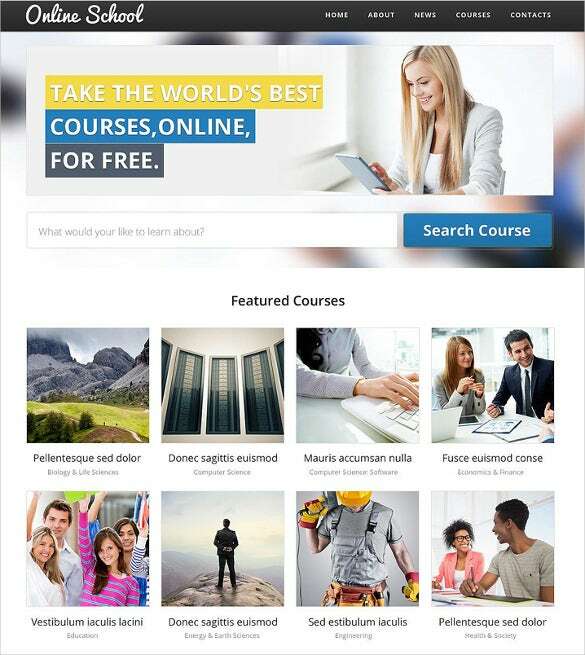 It is ideal for people dealing with school websites, online tutorials, and other educational portals. 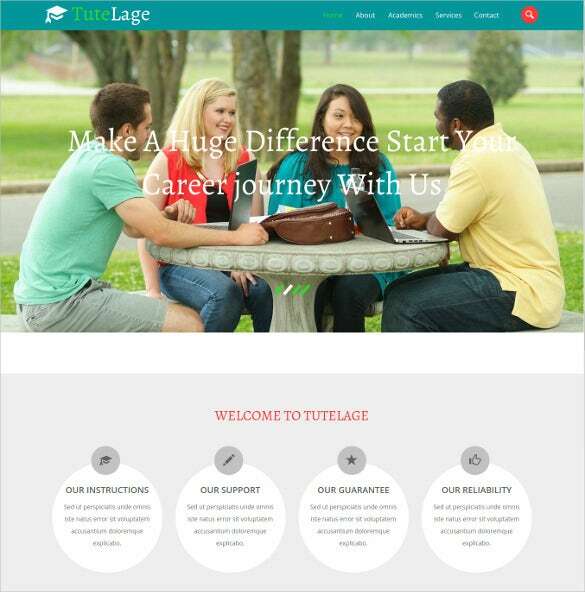 Private bloggers, online tutors, web development specialists will also find it useful to work with. 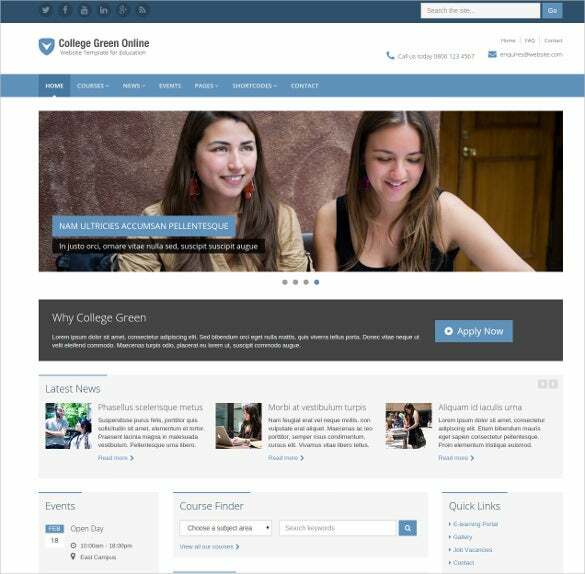 It promises to be 100% responsive and can be easily customized with minimal effort. 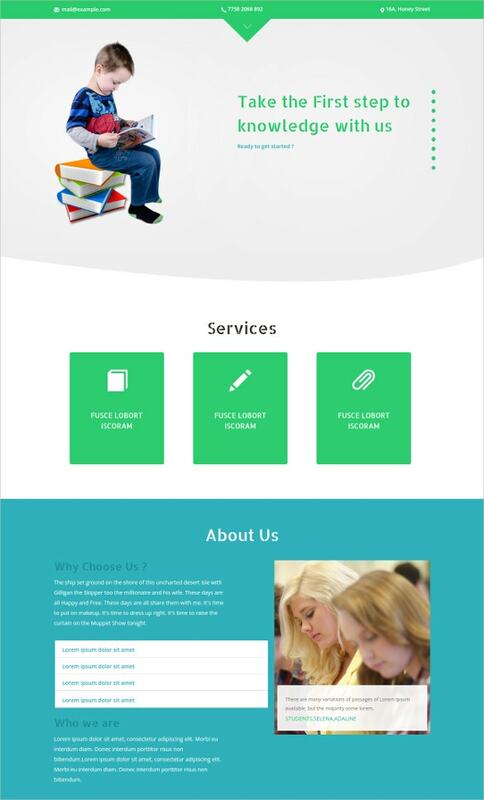 It comes with HTML J5 animation, 960 grid system, and animated drop down menu. 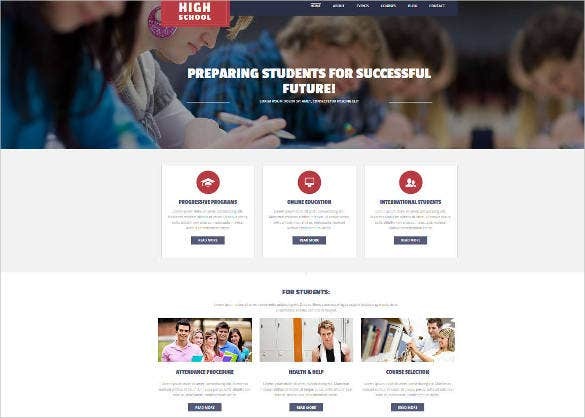 This theme has been tailored made for schools, colleges, online establishments, web development experts, and art consultants. 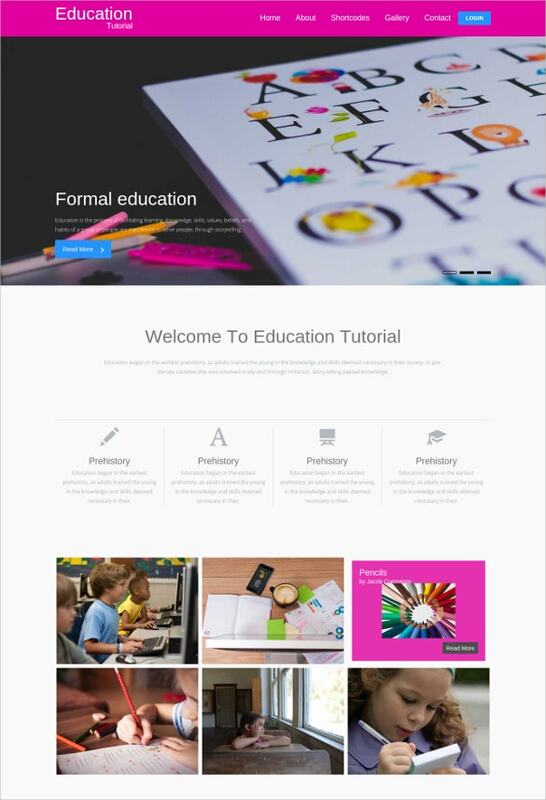 This template offers a clean and professional way to both the learners as well teachers to navigate through the web content easily. 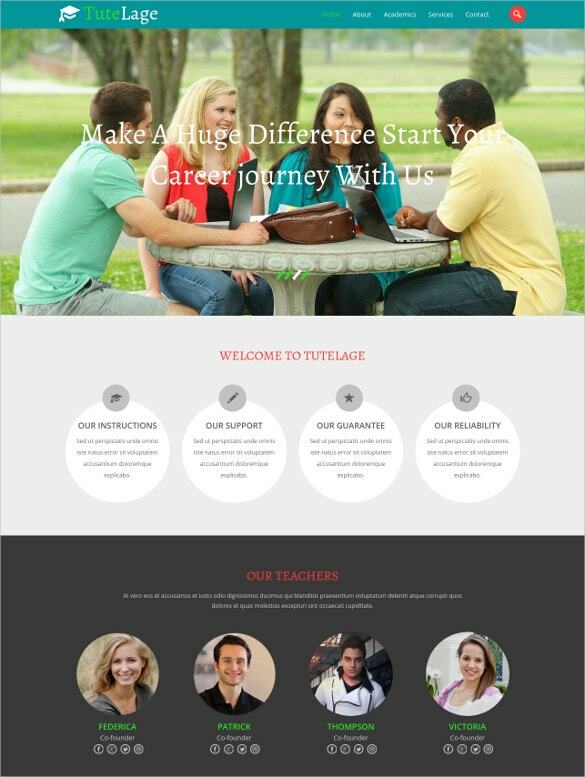 It comes with numerous shortcodes, Bootstrap carousels, flexislider, 27 pages, and 200 bootstrap icons. 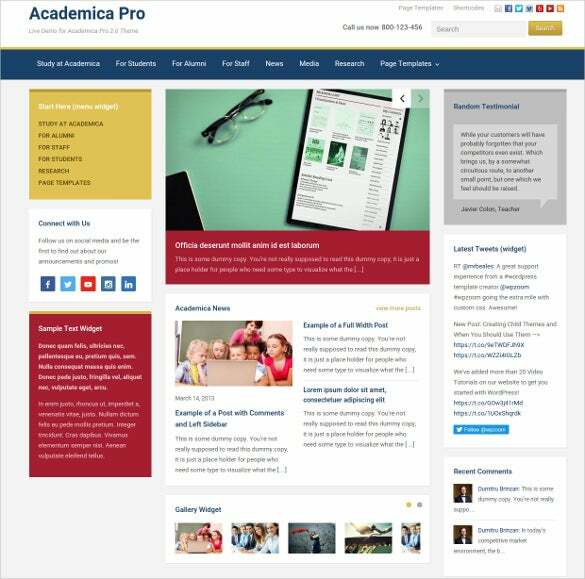 This is the perfect template for business schools, universities, private designers, web developers that are planning to modify their website look and presence. It is responsive in nature and creates a niche outlook to the site with its elements and exceptional design. 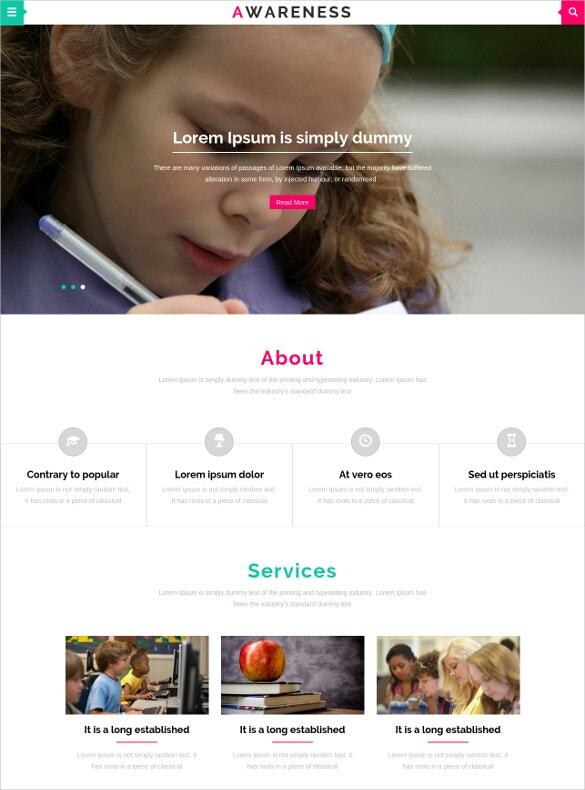 It promises a highly user-friendly interface and comes with Google web fonts, dropdown menu, and Sliced PSD. 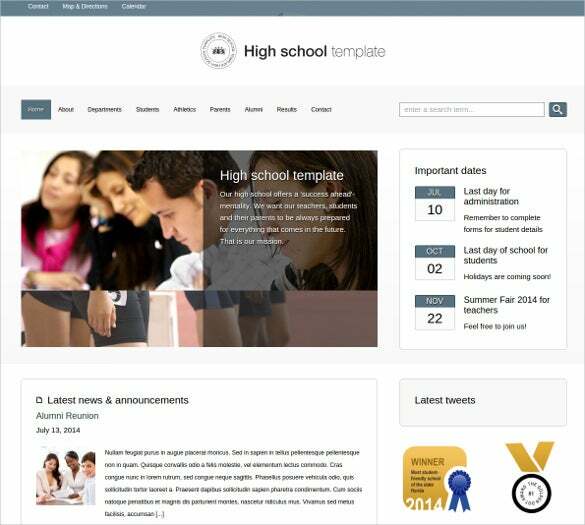 Very stylish in appearance, Schoolfun is a niche HTML template for university and school websites. It is perfectly suitable for different educational institutes like elementary school, junior and senior high schools, kindergarten, and university. It comes with beautiful sticky header and attractive blur effects. It also features 3 unique color variations. 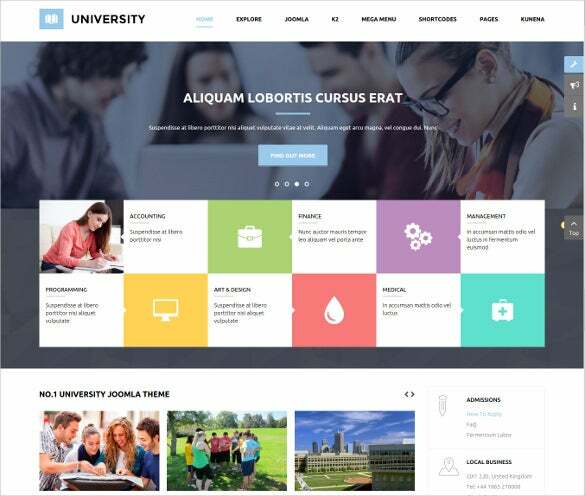 This template is designed using Semantic Code and Skeleton Grid system. 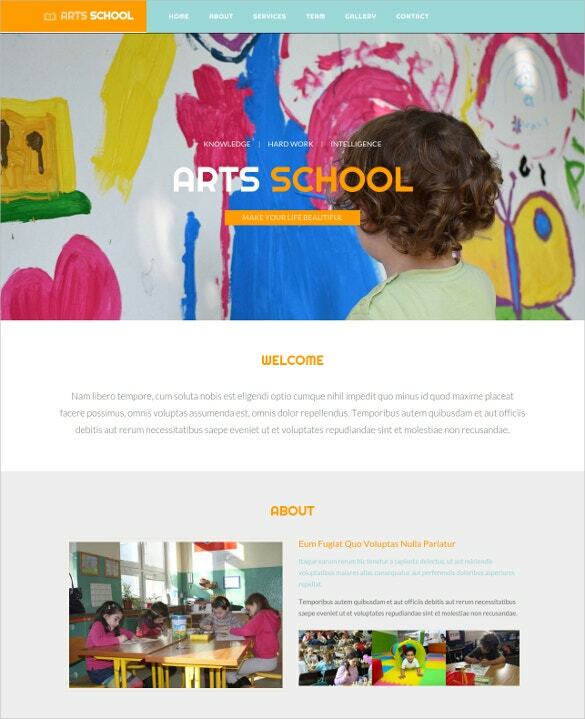 It is best suited for primary school teachers, parents, art consultants, designing experts, and private bloggers. 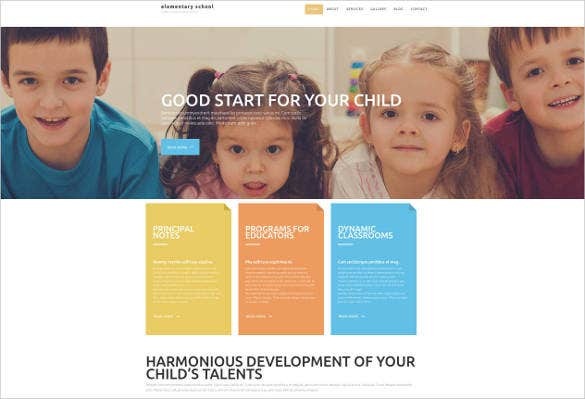 It can be used by designers to create amazing effects for kindergarten and nursery school websites. 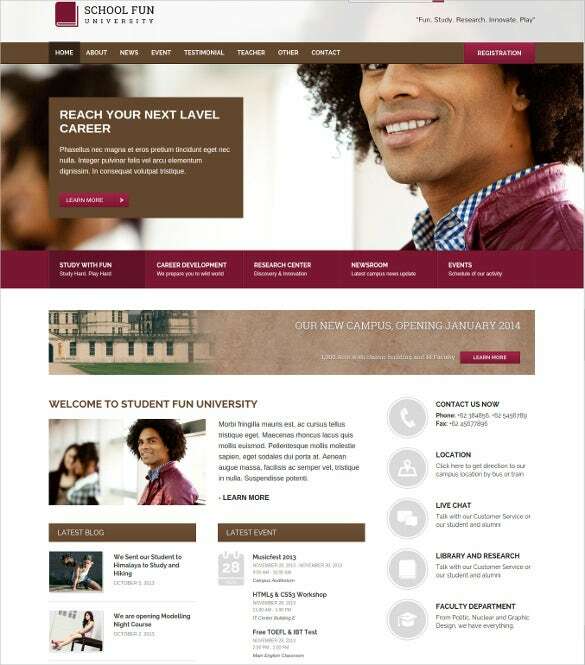 It comes with Sliced PSD, Dropdown Menu, Favicon, Google Web Fonts, and HTML Plus J5 animation. 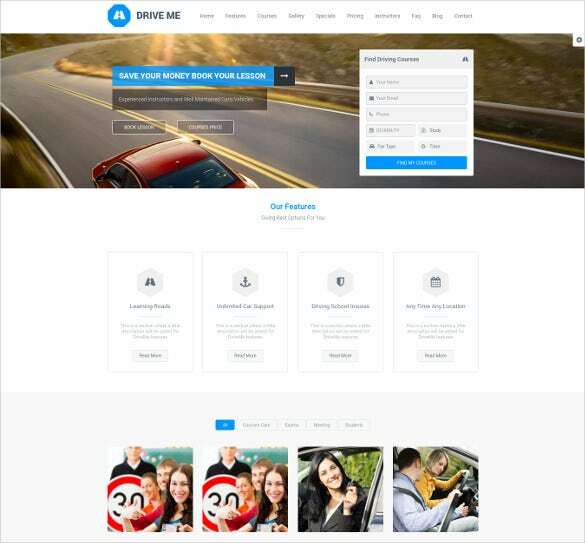 The premium driving school templates also include a number of functional sample plugins such as jQuery forms, tables and list generators, frontend administrator login portal and even gallery styled carousel slider with each download. The included example files provide clear instructions on installation and setup of the templates.